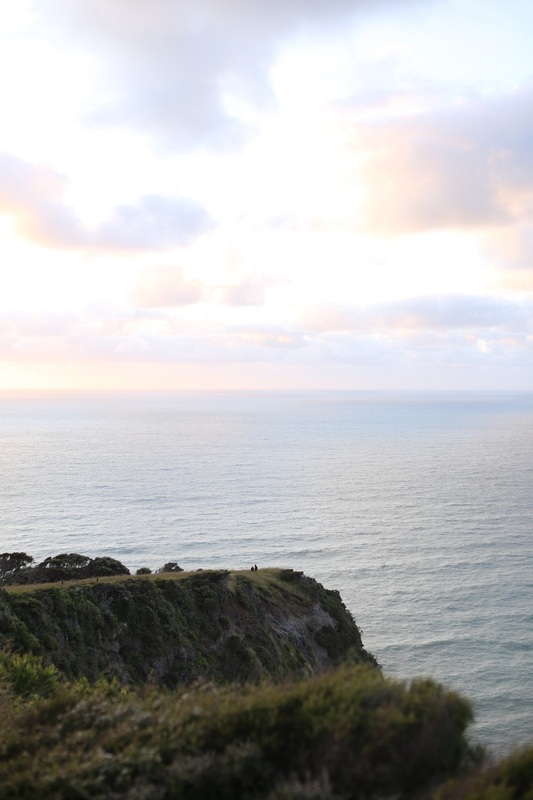 Let me tell you a little secret about Raglan... Other than it being one of the coolest little towns New Zealand has to offer, just 15 minutes down the road, you'll find the most breathtaking view this side of The Bridal Veil Falls. From the town centre, head out towards Many Bay. Drive on past until you get to a round about and turn left, down Whaanga road. Pretty soon it'll turn into gravel and you'll start doubting your decision to follow my shady directions. Don't. Ten minutes of sliding about and testing your car's suspension and suddenly you're there. Not bad, right? This photo possibly doesn't do it justice - I was excitedly running around the top of said cliff so 99% of my shots are an overexposed blur of pure fun. Get there for sunrise or sunset and you won't be disappointed. Manu Bay is worth the trip too - just check the forecast and follow the line of cars with surfboards strapped to them. Even on wet days, there's always plenty of rockpools to explore, and if the surf's good, not a lot stopping the locals from getting out there. And after a day of running around in salt laden air, head to The Shack for the most delicious avo toast you've ever had.